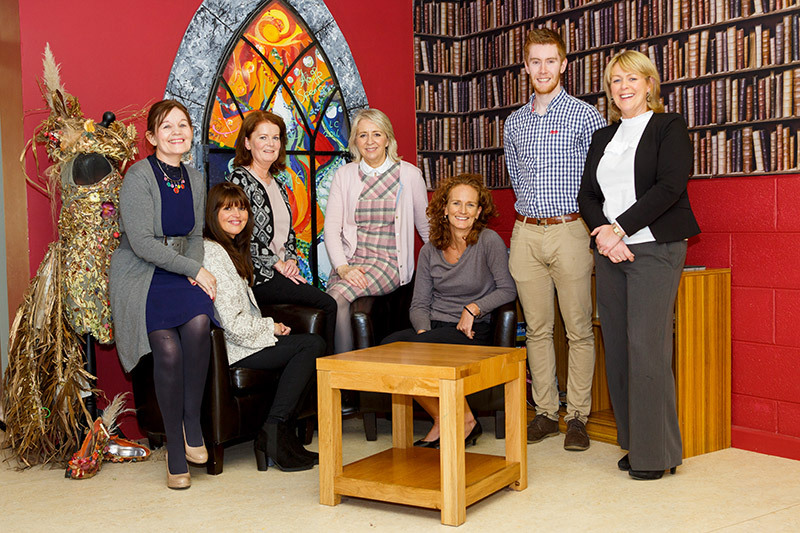 We see Pastoral Care and student support as an integral part of school life in the Sacred Heart School, Tullamore. Our Pastoral Care programme permeates every aspect of school life and is supported by a dedicated team of staff who endeavour to provide our students with a network of support based on mutual trust and respect. Students’ needs changes from year to year and our Pastoral Care team constantly review how the Sacred Heart School responds to the ever changing needs of our students and particularly those students facing challenges. We work in collaboration with parents and students to help develop confidence and resilient young woman. Our Pastoral Care team and our Year Heads strive to ensure all Sacred Heart students learn in a comfortable environment where they feel valued and safe. It is the policy of the Sacred Heart School, Tullamore that all our students should feel comfortable in our school, content in the knowledge that they can achieve their potential and manage their difficulties with support and kindness.